For a week now, even during the trip to D.C., my mind has been in agony over how to approach this. I've gone over it a thousand times and more. But, I suppose there's nothing left to do, but to go ahead and address this. And maybe... maybe... some of us can get up the courage to move on. For a while now I've been posting photos on this blog of my incredibly sweet and ravishingly beautiful cousin, Lauryn. And they've become something of a hit. In fact, I've even received numerous e-mails from single guys asking, sometimes begging, me to get them in touch with Lauryn. 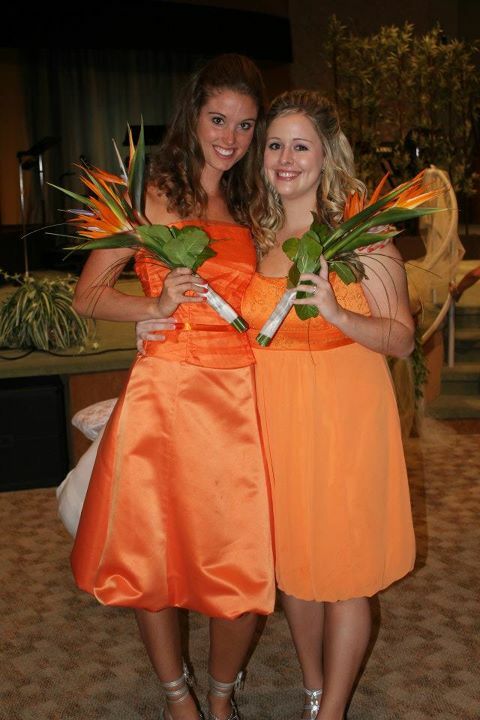 Lauryn is a beautiful bridesmaid. And she's going to be even more beautiful as a bride. It is my great pleasure to announce that as of a few days ago, Lauryn is engaged! She'll be taking the vows with her boyfriend Jason later this year. Congrats to Lauryn and Jason! Y'all are an incredibly lovely couple and I'm really looking forward to seeing the two of you embark on this journey that God has set you upon. As for this blog's single male readership, be of good cheer: there are lots of young lasses in my family that probably won't mind becoming The Knight Shift's new pinup girl! "As for this blog's single male readership, be of good cheer: there are lots of young lasses in my family that probably won't mind becoming The Knight Shift's new pinup girl!" Rachel can be a contender. "But for the time being, I'm taking a rest from wielding that big heavy stick"
Keep that stick. Youre still going to need to to fend off all those angry single guys once they get this news.